Part L was a significant and ground breaking change for developers, and was far more severe than anticipated in terms of carbon compliance and the conservation of fuel and power. Recently, Keystone Group focussed on this issue with an emphasis on how Part L has made investing in the services of an energy assessor a fact of life for most developers. As leading experts in sustainability, AES Sustainability Consultants shared their thoughts with Keystone Group on the implications of Part L, and the impact that this has on developers in terms of the way homes are built and tested. AES work with developers to provide value engineered solutions that suit the individual developer, not just to meet legal requirements but also to satisfy any other conditions that may be imposed. 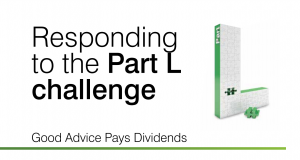 Read more about the Part L challenge in this article, where AES’s Managing Director, Jon Bodington, shares his insights and explains how more and more builders are realising that the right advice pays dividends. If you’d like to find out more about how AES Sustainability Consultants can help you, contact Alex Brooks, National Key Account Manager, by emailing him at alex.brooks@aessc.co.uk or alternatively call 01884 242 050.
AES are honored to have been approached to take part in a programme in partnership with ITN Productions and Home Builders Federation (HBF), ‘Foundations For The Future’. AES’s Managing Director, Jon Bodington, explains how simple changes to the way contractors work can help future proof developments, and how sustainability in the industry doesn’t have to cost the earth. Over the last 10 years, AES have been working with Linden Homes to improve the value of their newly built houses and to reduce costs where possible. Like every newly built house, developers need to ensure each dwelling passes an ‘air tightness test’ to comply with strict building regulations, and with the monitoring of this starting in design and continuing through to construction, builders need to remain vigilant. AES’s approach to the market helps developers achieve sustainability targets in a positive way, which can increase standards and maintain profit margins. With the Government’s ambition to deliver one million new homes by 2020, developers need to ensure homes are being built to the highest quality, and are sustainable in the long term. Part of AES’s hands on approach includes ‘tool box talk’ sessions to its clients’ contractors. The sessions encourage trades involved with the build to come together and understand how the way they work affects construction quality and air tightness compliance. With some developers having to widen cavities to comply with changes to the building regulations, our knowledge of the sector has helped create a viable alternative, as illustrated by our work with Davidsons Homes. Watch this programme, ‘Foundations For The Future’, introduced by National newsreader Natasha Kaplinsky, which explores the future of home building in the UK.